Are you bored being prohibited recording videos in meetings, museums, etc? 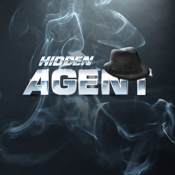 With Hidden Agent you will be able to record videos wherever you want. Free application allows low quality videos.You can buy better quality recording feature via in app purchases. Red dot is added beacuse of Terms of App Store. Red dot becomes invisible in 1 minute. -Send your videos to info@garaj.mobi .We will give you free minutes.